For over four generations, the Catena family has grown vines in the foothills of the Andes Mountains in Mendoza, Argentina. Laura Catena, great-granddaughter of winery founder Nicola Catena, has created a richly textured Chardonnay blend with floral notes, ripe tropical-fruit flavors, a strong mineral character and excellent acidity. 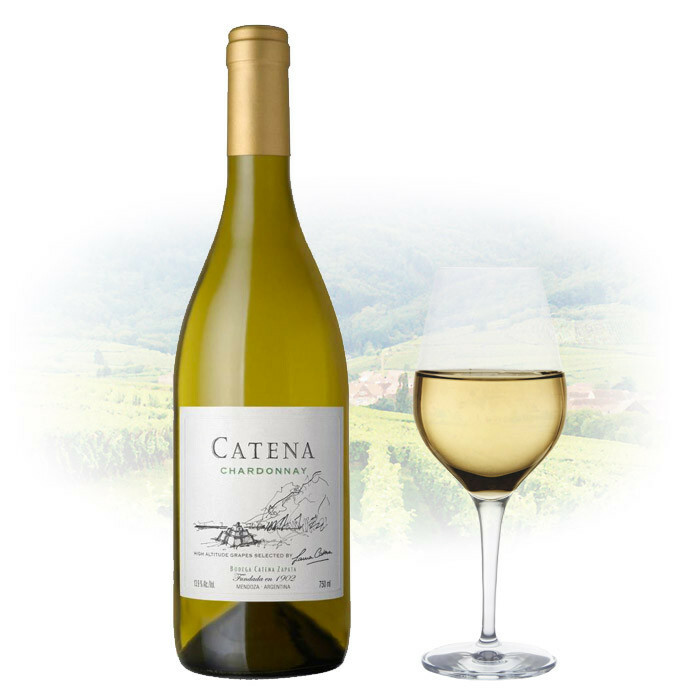 Catena Chardonnay is sourced from three of the family´s vineyards in Luján de Cuyo and Tupungato. The 2015 Catena Chardonnay combines the unique expressions of three high altitude vineyard sites. The wine shows an intense greenish color with yellow notes. The extraordinary combination of these vineyards offer honey and tropical fruit flavors while lending notes of citrus, pears, peaches, and white flowers with a strong minerality and a delicated note of vanilla. The mouthfeel is clean, with a fresh, clean acidity.